The module Curse of Strahd naturally revolves around Count Strahd von Zarovich. The spot light is on him during the entire time, everything in the Valley of Barovia is as it is due to him. There are many ways to roleplay Strahd. Much has been said about his motivations and personality. This long chapter of the guide will deal with how to approach everything that has to do with the Lord of Barovia. The chapter includes different alternatives for most stuff and general advice on how to run the game and Strahd himself (Some of this advice disregards the guidelines for running Strahd in page 10, there he is portrayed as more of a senseless monster and not so “alive”). The aim of this guide is to make Strahd a memorable persona, a hated enemy, a ruthless overlord, a sad stricken lover and the darkest figure in the setting. 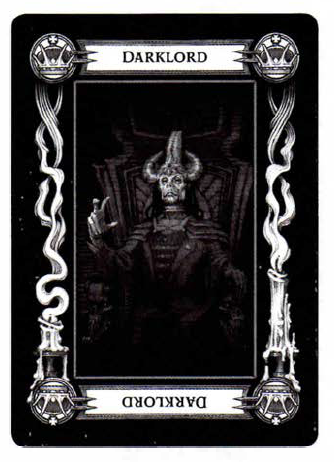 Strahd von Zarovich is a very complex individual, it’s easy to think that this BBEG is just an evil overlord, that is to say, the quintessential representation of evil. If it were like this, then Strahd would be predictable. But Strahd like a real person, comes in layers of history and moments of success and failure. He should never be portrayed as an always evil, always ruthless, always savage individual. Yes, he can be all that, but he is also many other things. Exploring what makes Strahd what he is, the DM and players should learn how he is not so different from them, he’s evil. But just in a way that anybody else could be. It is this similarity which causes fear, because in all the malignant being that he is, maybe you’re not so far from him as you though at the beginning. The adventure even poses situations that let the PCs get closer to where Strahd is. When a PC accepts a dark gift in the Amber Temple he is accepting the same things that Strahd sought so many years before. If a player accepts the Vampyr’s Gift he’s even taking the same path. Strahd is not so far off, what he has is reachable. And even after centuries of vampire existence. He is still prone to human feelings. He can still feel anger, success, regret, pride and love. His perception of love is distorted by the dark powers. His love for Tatyana Federovna has evolved after long years, now it is just wild desire and anger. Maybe it is just a wish to win against the dark powers that curse him. Maybe it is just madness. But from Strahd’s perspective, it is still love. It is the same for his brother Sergei von Zarovich, he hates him for stealing Tatyana’s attention from him, but he loves him dearly and regrets killing him, even if these feelings only surface from time to time, this is shown in the adventure in two parts in the book. If the card reading for Strahd’s location in the castle will occur in area K85 (Sergei’s Tomb). 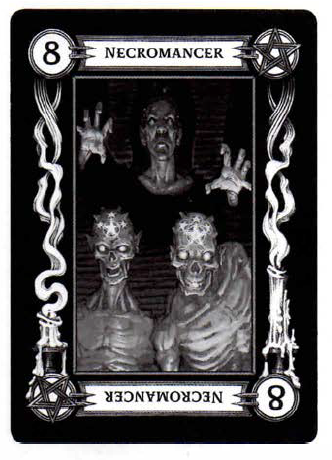 In the card’s description (King of Diamonds page 17) it says Strahd is “haunting the tomb of the man he envied above all”. But if we visit the room description (page 93) It says that Strahd is found lying across Sergei’s Coffin weeping. This is something the players can see, and they should see it. Another example is found on page 200, in Yester Hill. There’s a wall of mist that not even Strahd can cross, but this one shows a mirage through the mist. A far realm can be seen through the mist, it is the Zarovich’s family ancestral realm. Strahd comes to the hill on occasion to see it, tantalized. Strahd, in all his undead existence, is as alive as the PCs, he’s a living being full of failures and regrets. He is evil, but not plain evil, there is a depth that probably no PC would imagine at first. The story of Strahd is explained in page 9, but it omits an important detail, the calendar. This is explained later on, on page 26. Barovia has its own calendar. Strahd was born in 306 and he became a vampire in 351. The current year is 731. That means Strahd von Zarovich has been a vampire for 380 years, a fact never mentioned in the module, but good to know. Alignment is a social-personality construct that has existed in D&D for a very long time. In my personal opinion alignment is just a guideline of a person’s predisposition towards things and situations that happens around him. However it’s NOT an indicator of the person’s actions. This distinction is seldom made and it makes all the difference in correctly or successfully roleplaying the different alignment roles. I’ll state two different extreme examples before jumping on to Count Strahd. 1.- Let’s imagine a town librarian. Because of his upbringing and background, he is evil. It doesn’t matter if chaotic, neutral or legal. But he is evil. He wishes the worst to his self-proclaimed enemies and enjoys gladly when bad things occur to other people. He particularly finds interesting to see someone feeling pain. He’s rude and despicable. However, he has never committed a crime or personally harmed another living being. He knows he’s no adventurer with a sword, or an influential noble. And he won’t go to jail for falling to his desires. He will be remembered as a rude person who all his life worked at the library. Not quite what you expect from a “chaotic evil” person, right? More to his case, probably no one would ever know his true personality. 2.- Now let’s talk about a priest or acolyte who has dreams of power and influence. Through constant work in the church hierarchy he starts climbing ever higher. He doesn’t wish to become the head of the church to spread its influence or attract more followers, his only desire is to be above everyone else. And he does anything in his power to attain it. He might act secretively, poison someone in his way or order a hit on another. Eventually he’d be at the top, and he would rule this church so it becomes more powerful. Attract more people, help the poor, open orphanages, abbeys and schools. All for the power, while doing good deeds. The head of this church is an evil person who only keeps it in good shape to enjoy the advantages of such an influential position. Just two extreme but perfectly possible examples of alignment versus acting. Now Strahd Von Zarovich is Legal Evil. What that means is that he is predisposed to act under a code or law and that he cares not for the welfare or benefit of others. However this is just a predisposition and may act otherwise to achieve his own goals. I want to explore the “legal” part of his alignment. Strahd comes from a fine line of nobles. He grew up in castle where he had all kinds of instruction and education. He learned to fight in a castle and he learned about war from his father. It’s safe to assume he was very well educated in science, arts and literature since he places high value on written material, else he wouldn’t have such an amazing library (K37, page 66). His father was a king and Strahd was his first born. He probably received the best education on law, state keeping and accounting. I believe it is Strahd’s upbringing as a noble and future heir of King Barov that accounts for Strahd’s “legal” alignment. Strahd is a man of his word and places great importance in family ties (his parents), alliances and personal debts (Vistani). In game it will probably be difficult for players to trust Strahd, being that he is a vampire. But they will, over time. Strahd is true to his word and promises (usually). If he invites them to dinner and offers safe passage in writing (invitation letter), this is for him a binding contract since he is “legal”. He’s bound to the law, he is the lord of Barovia so he makes the law. If Strahd offers safe exit from Barovia in exchange of Ireena, he will keep his word and let the PCs exit. That was his own deal. This is not to say that Strahd is trapped by his own words. As I said earlier, Alignment is just a predisposition. An honest person might under the right circumstances commit a felony, but that doesn’t make the person dishonest from that moment on. Same with Strahd, specially if the PCs do not follow the expected arrangement. For example: In the dinner situation. Strahd will not harm them. But if the PCs insult him by attacking him openly or decide to go around the rest of the castle uninvited, then the deal is over. An important factor in roleplaying and defending from vampires is the Forbiddance flaw in Strahd’s stat block (page 240). It states he cannot enter a residence uninvited. While this feature of vampires is iconic and fun to run. I advice to make a modification to it, only for Strahd. He knows this law/limitation, however he is not bound to it, because he is the lord of the land, he IS the land actually. But ! he respects it. He will not enter a residence uninvited and will try to get an invitation, honestly or dishonestly (charm). Why? Because of his “legal” predisposition. It will give PCs a sense of safety from vampires in general. And it will be a scary and powerful reveal when Strahd decides he will show the PCs how he is not bound by this. Imagine Strahd passing through the door, your PCs (and players) start to shout in disagreement and then you say, in your best Strahd’s Barovian accent: “What? You believe I cannot enter this place without invitation? This house is mine. In fact, everything you lay your eyes upon belongs to me, even your miserable souls”. 1.- Tatyana Federovna – Ireena Kolyana.- The most important thing in Strahd’s agenda is to get Tatyana. She’s been dead for almost 400 years, but every now and then a girl is born in Barovia with her soul. He is ever watching for when this happens, because it is a new opportunity to achieve his goal. It is unclear how many times this has happened, but it shouldn’t be more than 5. 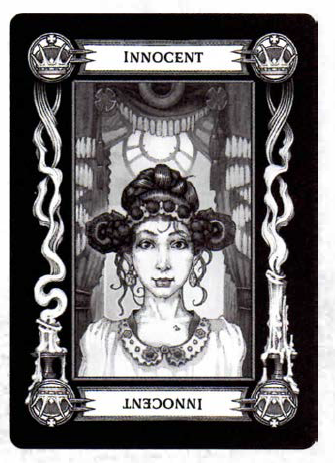 One of the past reincarnations of Tatyana is mentioned in page 161 (wording is vague but implies it was Tatyana’s soul). Her name was Marina and she lived in Berez. It didn’t work. And that is a repetitive theme in Curse of Strahd. Tatyana is what Strahd wants the most and it is the only thing he will never have. That is the “curse of Strahd”, it doesn’t matter what he does, he never seems to get any closer to his goal, he knows he has all the time in the world to wait for the next “Tatyana” and try again, but Strahd has started to put the pieces together. He suspects that the dark powers’ curse is what prevents him from attaining his goal. He’s paranoid now, and the result is that he is even more obsessed than ever with the new chance to make it: Ireena Kolyana. Strahd is willing to do anything to keep Ireena for himself. The sad thing is that it never works out for Strahd in the end. The way the adventure works, the most likely outcomes will get Ireena killed, or reunited with Sergei in Krezk (page 156). Even if Strahd wins and kidnaps Ireena, or if Ireena decides to sacrifice herself and marry Strahd voluntarily to protect others, like Ismark, Strahd will turn her and seal her in a crypt. But the victory will be short lived since she will never love him. An alternative outcome would be to have Ireena never turn into a vampire, and just lie dead in Strahd’s arms. 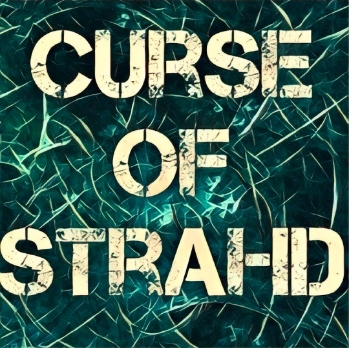 Either way, that is the nature of the curse of Strahd. Tatyana’s soul and love is the one thing he can never get. 2.- A successor.- Strahd has grown convinced that one way to get rid of the curse and finally be able to abandon Barovia, is to find someone to take his place. The book implies that this is just a hunch but you may decide that it is indeed true. Regardless, Strahd believes it and is looking for an heir. No one in his realm is up to his standards so he examines adventurers when they arrive or are seduced into his realm. Ironically, Strahd is so egotistical that he will never accept that someone is good enough. But he may still look for a successor, he might even mention it to the PCs, even if just to sow discord among them. 3.- Adventurers getting to powerful.- Strahd is not an idiot and even if he is powerful and above most, he is extremely intelligent (INT 20 ). When characters approach the higher levels (7+) he will see that they are not so helpless anymore. He might even fear them, but he knows that he is the lord of the land. He is more resourceful than them. When PCs get too powerful and acquire the artifacts, Strahd can change his strategy. There is one thing Strahd can offer the party that can cause a big argument. Passage out of Barovia. This is a card Strahd will only offer when things get tough, he might do it in a dinner invitation or similar situation. By offering a way out, a big party concern is solved immediately. Some PCs would prefer a clean way out while others will want to take revenge on Strahd himself. Strahd can offer an arrangement too, Ireena in exchange of safe passage out of Barovia. He can also offer LOTS of gold and magical items in exchange of leaving him and his realm alone. Strahd can also offer a party member to become a full-fledged vampire like himself and be his advisor or his new Rahadin (In the end Strahd might betray him and turn him into just a spawn). It must bet clear that Count Strahd has the heaviest leverage in this deal. He is after all the rightful lord of the valley. A deal can break the adventure, but if it doesn’t, Strahd can still judge his best way to fight this team of brigands. He is ever resourceful. And in his castle he is most powerful. How to roleplay Strahd is a very difficult matter where different DMs will have different opinions and approaches. Page 10 gives us some cues on how to roleplay Strahd. However I find these paragraphs too bland. They describe Strahd as more of a monster and less of a man. A creature whose feelings are long forgotten after centuries of vampirism. The very first paragraph states the he believes himself lost to evil, unable to feel pity, remorse, love and hate. This approach turns Strahd into a predictable, although extremely intelligent foe. However you only have to ask how different DMs played Strahd and you will find out that most didn’t take this approach. And it is because Strahd has so much potential. Here’s my take, take or leave what you like. Strahd is extremely proud, however he is very difficult to offend if insulted. He thinks he is the most important and powerful man in the realm. No one ever comes close to his qualities. If a PC insults or contradicts Strahd, he just considers them inferior beings with no taste for conversation, unrefined, rough, peasants after all. As a man of stature and power, he has no qualms about using other people for his own ends and cares not for the welfare of his subjects. He enjoys breaking the spirits of good people, it is a labor that takes a lot of time and effort, you need to be patient and intelligent. But Strahd has all the time in the world, take the example of the Abbot. This is Strahd’s pet project, he’s been corrupting the Abbot for more than a hundred years. He can take his time, this is the reason why Strahd seldom kills adventurers in a single showdown. He wants to test them, crush their spirits, see how much they can withstand. He is just playing because being immortal is really boring. After killing an adventurer, Strahd might even have him revived by the dark powers just for fun (if you decide that Strahd can control this). Of course Strahd can turn into a savage beast once he is angered, this is difficult but possible. Things that would anger Strahd is stuff related to Ireena. Her being taken away from Barovia to Vallaki or Krezk, that angers him. Ireena reuniting with Sergei in Krezk, this is automatic frenzy mode for Strahd. In a battle, if he gets close to losing he gets angrier as it is revealed he is not as powerful as he pretends to be. On the other hand some things make Strahd feel sadness and regret, he regrets killing his brother. He is frustrated that King Barov and Queen Ravenovia could never witness the success and stature of their first born. Thus he named the valley and castle after them. He gets nostalgic when he visits Yester Hill and gazes through the mist. Admiring the mirage of his ancestral home. The times he remembers full of happiness, a feeling he doesn’t have anymore. But the remembrance is enough. Man, reading this article REALLY makes me want to DM CoS. Since I started a few months back, I’ve never run a module, but now I want to! That’s awesome ! 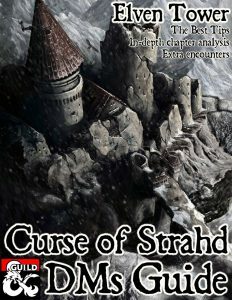 Curse of Strahd is complicated because it’s a sandbox but with good preparation you can manage. I’d say the book is really well written, storm king’s thunder could be a great option for running a module too !